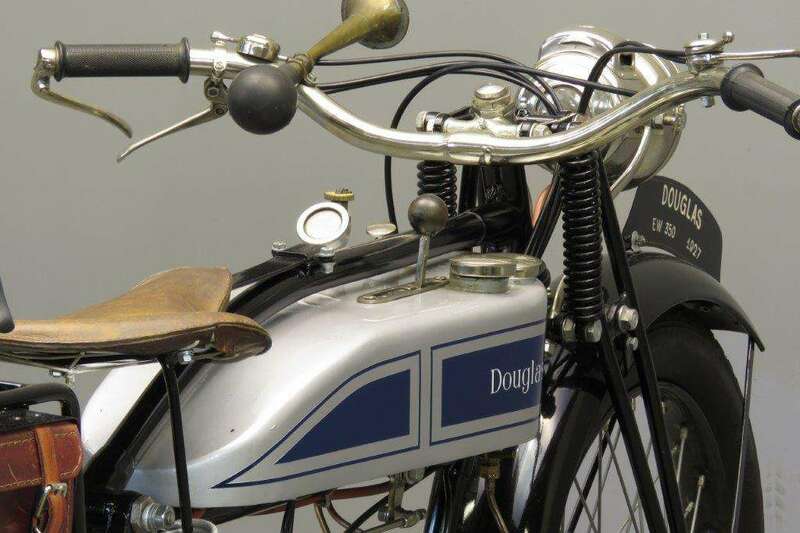 The earliest Douglas models had direct belt drive, but in 1910 a two-speed gearbox was added, with the control on top of the petrol tank. 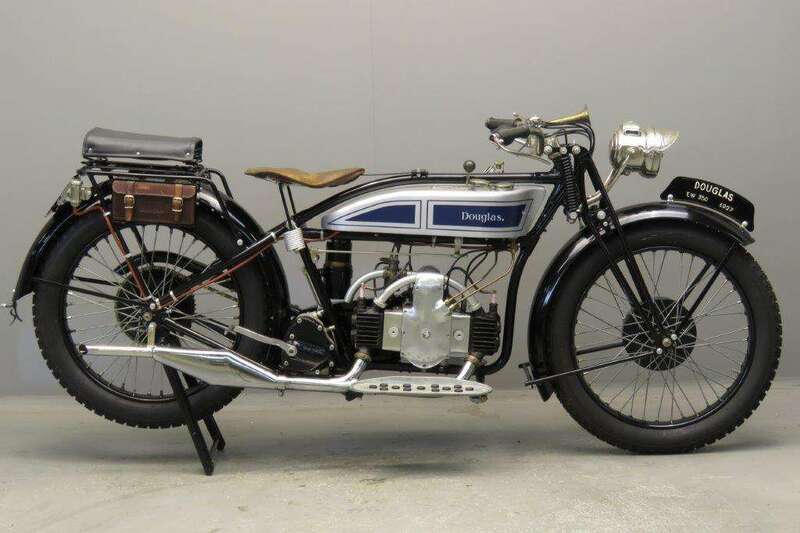 Douglas machines became very popular because of their lightness, ease of starting and speed: in the 1912 Junior TT races Douglas took first, second and fourth places. 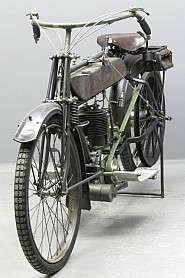 The E.W. 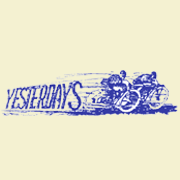 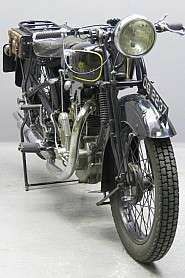 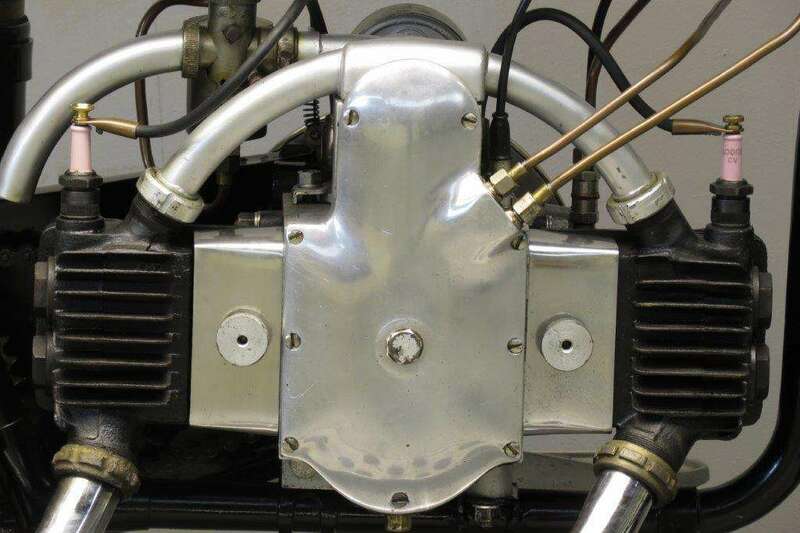 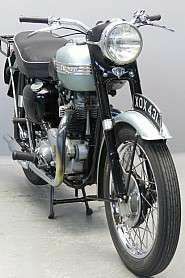 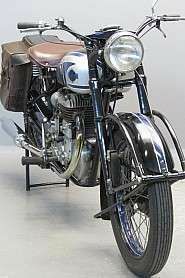 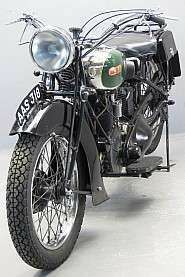 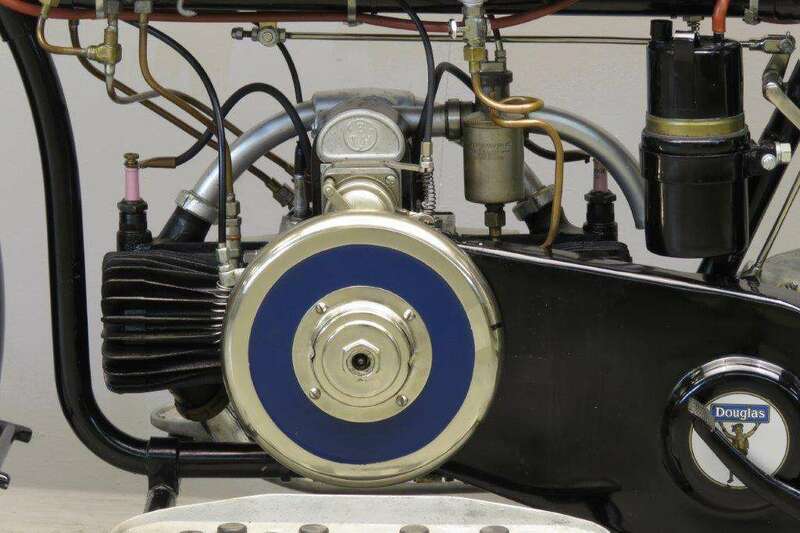 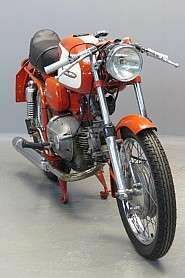 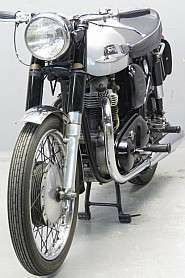 was immediately popular and continued with modifications for several years; some new developments for 1927 were an improved oil pump and heavier spokes in the rear wheel to allow pillion riding. 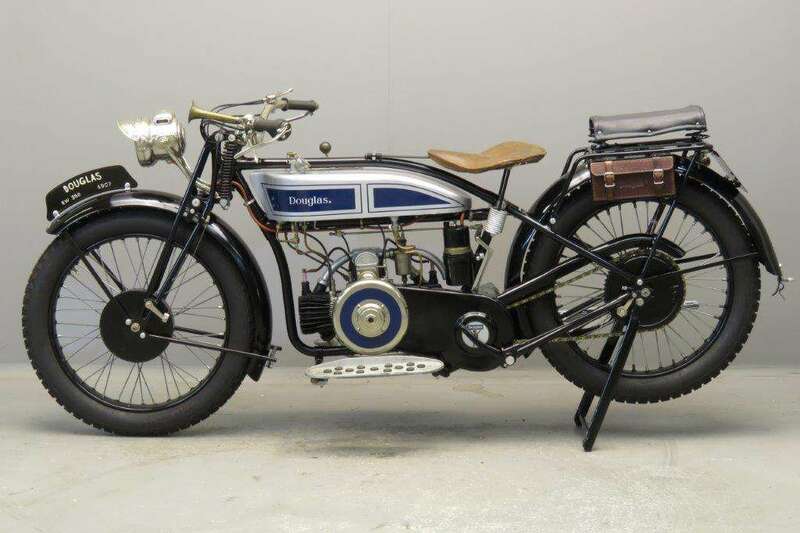 This E.W comes in nicely restored condition and is fitted with P&H front light, Lucas rear light and Cisma acetylene generator.